It first appeared in Africa in 2016, in West Africa and today, the destructive pest, Fall Armyworm has spread across sub-Saharan Africa, leaving only 10 countries (mostly in northern Africa) uninfected. The pest originated in the Americas and cannot be eradicated. The Food and Agriculture Organization (FAO) warns that if the spread of Fall Armyworm is left unchecked, then it will spread to larger areas in sub-Saharan Africa countries and will become severely destructive as it feeds on more crops, increasingly growing an appetite for sorghum and millet, in addition to maize. "Fall Armyworm could leave 300 million people hungry in sub-Saharan Africa, having already infested maize and sorghum fields across 44 countries in an area of more than 22 million square kilometres - the combined area of the European Union, Australia and the United States," said Bukar Tijani, FAO Assistant Director-General and Regional Representative for Africa on the sidelines of a resource partners' meeting in Rome. 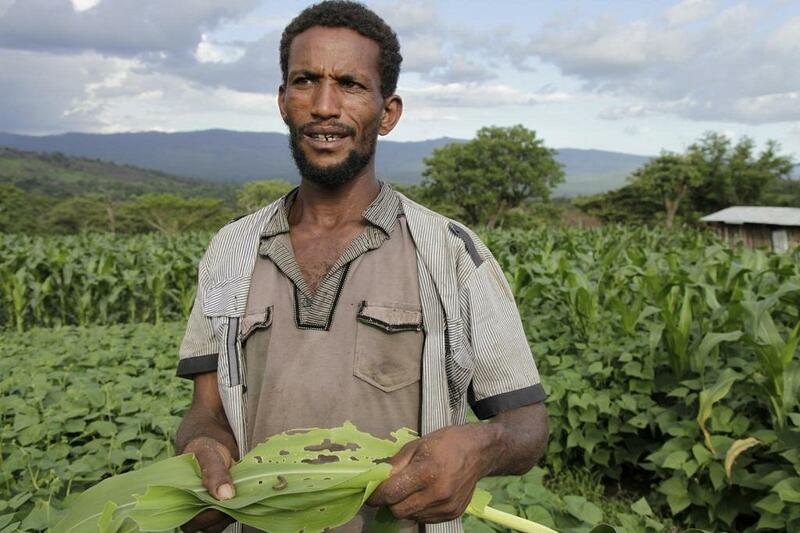 To prevent the pest from spreading to Northern Africa, Southern Europe and the Near East, massive scaling up of the Fall Armyworm campaign is needed to train more than 500,000 farmers to manage the pest in sub-Saharan Africa. Instead of a heavy use of pesticides, which can be harmful for people and the environment, farmers are advised to use bio-pesticides, including those based on bacteria, virus, and fungus. The FAO is part of more than 30 projects to fight the pest and includes training 20,000 farmers and frontline extension workers as part of FAO's Farmer Field Schools. This encourages farmers to recognise and report Fall Armyworm infestations and use mechanical control, such as crushing of the pest by hand, and apply bio-pesticides (neem, tobacco plants) and natural enemies (ants) to destroy the pest. Smallholders, who form the majority of the tens of millions of maize farmers in sub-Saharan Africa, are worst affected by Fall Armyworm, says FAO. For instance, if 20 per cent of their annual maize yield was lost to Fall Armyworm, it would result in a deficit of 16 million tonnes of maize, worth nearly $5 billion.